The food we are purchasing now, most of them are being heavily processed, with lots of addictive, favors. For example, even for the milk. The manufacturer put loads of flavorings and colorings and sugar in milk, right, more kids will drink it. There’s not enough veggies at all. French fries are considered a vegetable. Knives and forks? No, they’re too dangerous. It is to encourage the fast food diet. Labeling is a massive problem. They want to be self — they want to self-police themselves. The industry wants to self-police themselves. They owe us, to put a food ambassador in every major supermarket. They need to help us shop. They need to show us how to cook quick, tasty, seasonal meals for people that are busy. This is not expensive. Under the circumstances, it’s profoundly important that every single American child leaves school knowing how to cook 10 recipes that will save their life. Life skills. But the home needs to start passing on cooking again, for sure. For sure, pass it on as a philosophy. And for me it’s quite romantic, but it’s about if one person teaches three people how to cook something, and they teach three of their mates, that only has to repeat itself 25 times, and that’s the whole population of America. 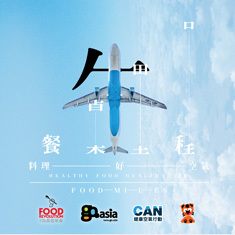 In response to the appeal from world-renowned chef and food educator Mr. Jamie Oliver (TED prize winner 2010), Hong Kong will join force with more than 62 countries to organize over 1,000 food concerned activities across the globe. 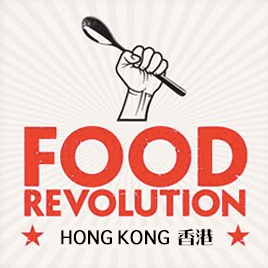 Food Revolution aims to arouse discussion on various food topics, including healthy diet and treasuring the food resources. We believe in the long run, to support local farming and consuming local food will not only protect local food security but also to be more environmental friendly and help reduce the medical liability. Food insecurity will affect us forever if we rely on the imported food from mainland China. Our health, especially the health of our next generation, will be endangered if we keep relying on processed food. “In 2013, we will work with partners to deliver food education, talks related to food issues, sustainability (local & urban farming) and take action on ‘anti-food waste’. 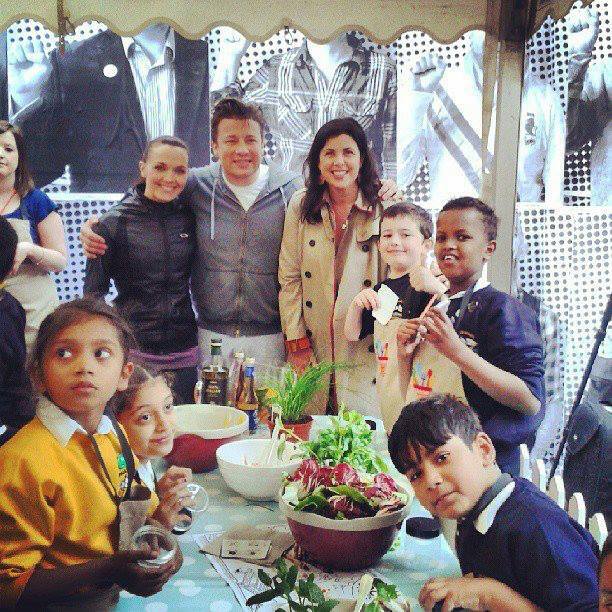 Jamie Oliver is the founder and driving force who inspired millions around the world to join the Food Revolution.In 2010, as part of the ABC TV series, Jamie’s Food Revolution, Jamie worked to improve school food and set up a community kitchen in Huntington, West Virginia to teach people how to cook from scratch.